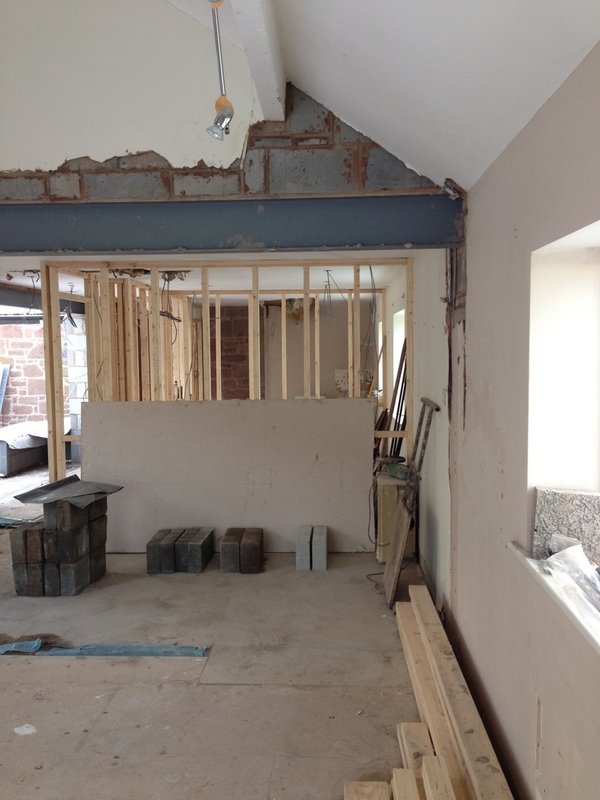 Sandstone Cottage refurbishment, Wirral by Bromilow Architects Ltd | bromilow architects ltd. Since the end of the Summer Holidays, things have been really busy and we have neglected updating the website. 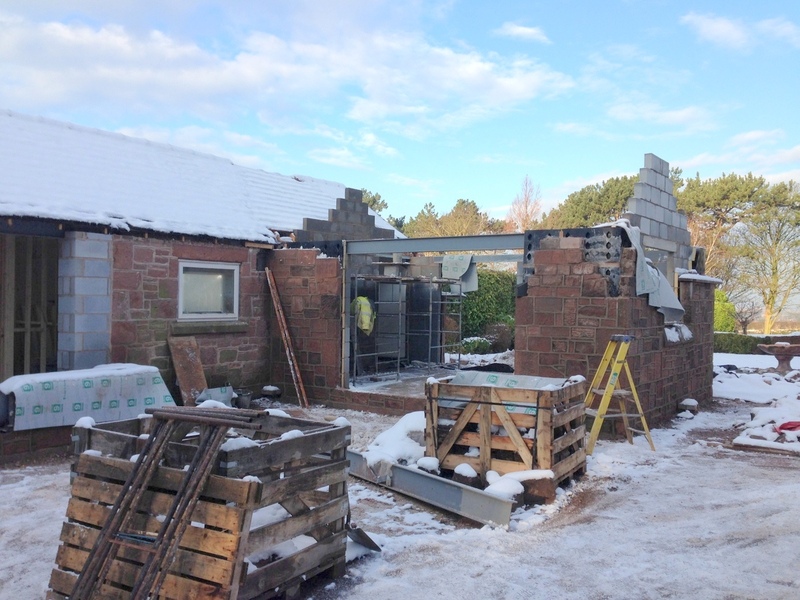 We have had some large residential projects, as well as an office and factory refurbishment on site. 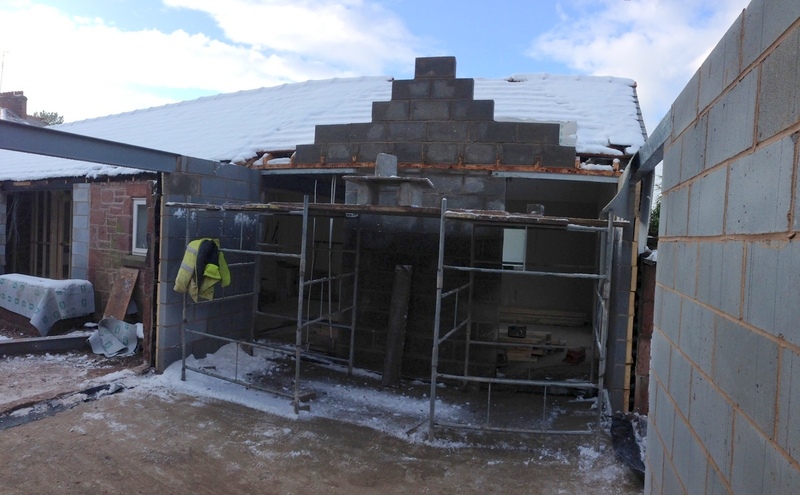 We have also been working on a new staff restaurant facility for a large company. Over the next couple of weeks, we will put some more images up of the work to date. 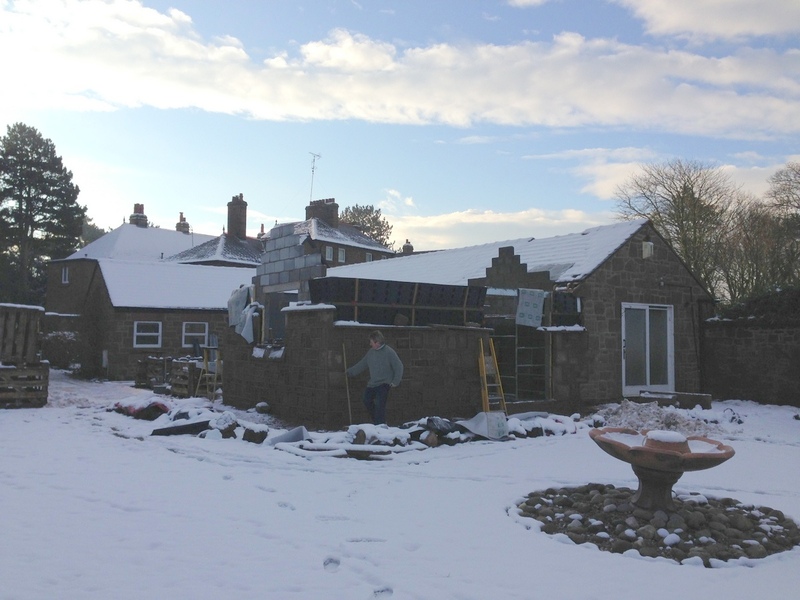 Closer to home we are refurbishing and extending a Sandstone Cottage for a client. We made a site visit yesterday to see how things were going and have included some photos below as well as the panoramic above. The extension only adds a small amount of space to the property but through clever rearrangement of all the internal spaces we are changing the property from 2 bedrooms into a 4 bedroom cottage with a large kitchen and dining space that links through to a larger lounge area. The bathroom are bigger and none of this is at the expense of making the bedrooms smaller.